Senate candidate Kyrsten Sinema sat down with ABC15's Justin Pazera ahead of next week's election. 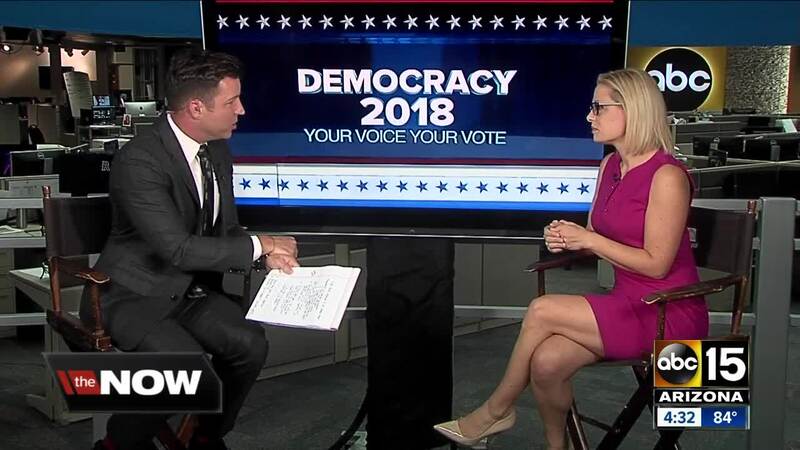 Arizona Senate candidate Kyrsten Sinema sat down with ABC15's Justin Pazera Tuesday morning, a week before the November 6 election. Watch her full interview in the video player above. Sinema, a Democrat, is running against Republican Martha McSally to fill the Senate seat left vacant by Jeff Flake. The two sparred in a debate on PBS Arizona earlier this month. McSally also sat down with ABC15 earlier this month to talk about the Senate race. Watch her interview here.